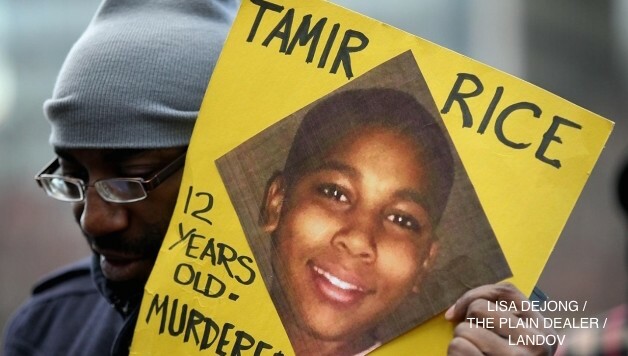 The grand jury in Cleveland, Ohio, is currently deliberating over evidence in the police killing of 12-year-old Tamir Rice by then-rookie Officer Timothy Loehmann on November 22, 2014. Tamir Rice was playing with an airsoft gun that shoots nonlethal pellets outside of a recreational center when a police car pulled up. Within seconds of arriving on the scene, Officer Loehmann fatally shot Tamir. This brutal incident, captured on security camera footage, quickly became national news. Tamir’s tragic death joined the multitude of black and brown victims of police violence in the United States in 2014. Not one law enforcement officer in Cleveland has been convicted of killing an unarmed citizen. Why? The political and judicial relationship between the prosecutor’s office and law enforcement: the cops collect the evidence for the state’s attorney that is used during trial to secure a conviction. This is the same Cleveland Police Department that was cited by the Department of Justice with numerous cases of police violence that violated citizens’ human and civil rights. The Rice family and supporters are calling for a special prosecutor to oversee the case. Cuyahoga County Prosecutor Tim McGinty has received justified criticism for delays in presenting the evidence to the grand jury, as well as lack of communication between his office and the Rice family. Can we rightly have confidence in a system to police itself? As we await the decision of the grand jury, we must continue to agitate, organize, and protest outside the courtroom and build a sustained protest movement to demand justice for Tamir and all victims of police terror, linking it to the broader struggle against institutional racism, poverty, and capitalism.